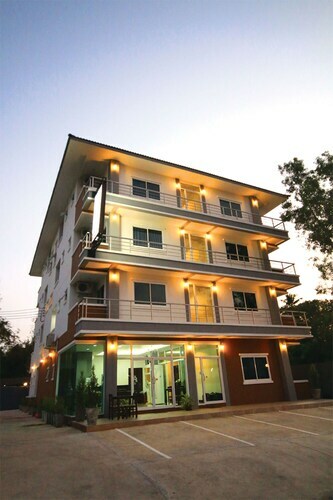 Located in Downtown Krabi, this hotel is within 1 mile (2 km) of Thara Park, Walking Street and Krabi Pier. Chaloem Rattanakosin Sports Stadium and Wat Kaew Korawaram are also within 1 mile (2 km). 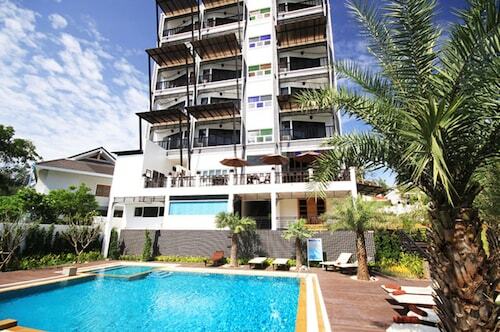 This family-friendly Krabi hotel is located in Downtown Krabi, within 1 mi (2 km) of Thara Park and Krabi Pier. Walking Street is 1.4 mi (2.2 km) away. 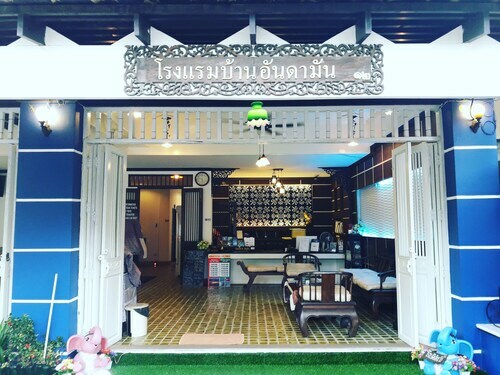 Located in Downtown Krabi, this bed & breakfast is within a 15-minute walk of Chaloem Rattanakosin Sports Stadium and Walking Street. Krabi Pier is 1.3 mi (2.2 km) away. 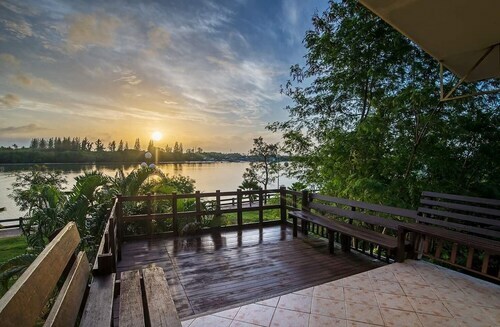 Located in Downtown Krabi, this hotel is within 1 mile (2 km) of Thara Park, Krabi Pier and Walking Street. Chaloem Rattanakosin Sports Stadium and Wat Kaew Korawaram are also within 1 mile (2 km). 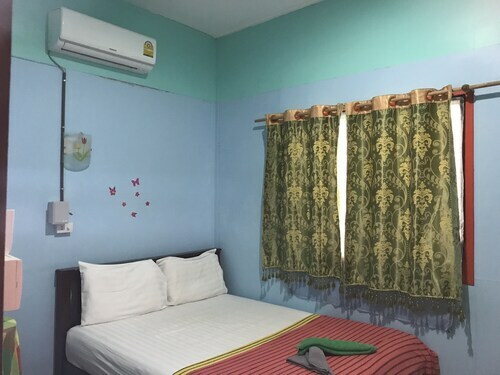 Located in Downtown Krabi, this hostel is within 1 mile (2 km) of Thara Park, Krabi Pier and Walking Street. Chaloem Rattanakosin Sports Stadium and Wat Kaew Korawaram are also within 1 mile (2 km). Located in Downtown Krabi, this hotel is within a 10-minute walk of Chaloem Rattanakosin Sports Stadium and Walking Street. Krabi Pier is 1.5 mi (2.5 km) away. 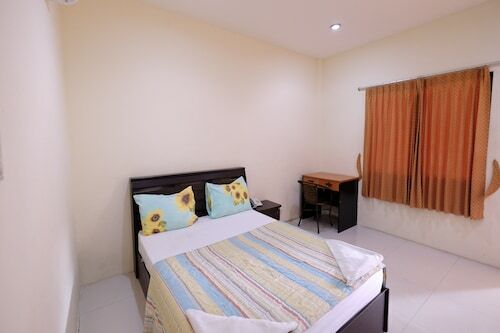 Located in Downtown Krabi, this hotel is within a 15-minute walk of Thara Park and Walking Street. Krabi Pier is 1.2 mi (1.9 km) away. 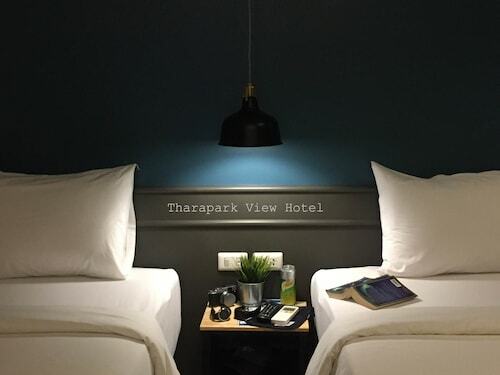 Located in Downtown Krabi, this hotel is within a 15-minute walk of Chaloem Rattanakosin Sports Stadium and Walking Street. Krabi Pier is 1.7 mi (2.7 km) away.